Last week my interview with Scot Haney, a local weatherman in Connecticut with an… er… outsized personality was shown on his show, “Better Connecticut” (WFSB, channel 3). This time, I was on the other side of the interview, I thought it was a lot of fun to do. 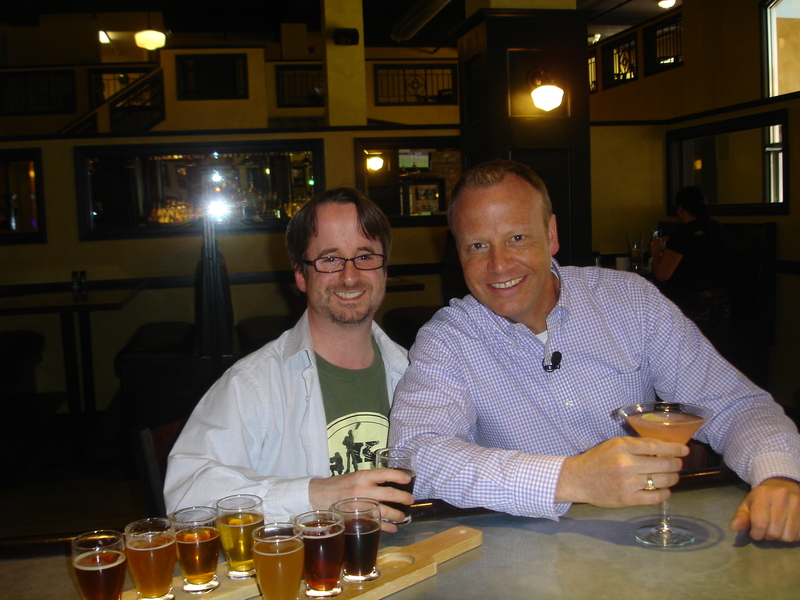 This entry was posted in Beer Snob and tagged Scot Haney, TV. Bookmark the permalink. I loved the segment. I learned a lot about beer in a short amount of time. You handled yourself well. Can’t wait for your comedy podcast! I enjoyed the segment on Better Connecticut. You handled yourself with poise. And, I learned a lot about beer. Can’t wait for the comedy podcast! YOU’RE famous!!! Loved the segment and I hope you’re getting lots of great publicity from it!